Thought of changing your skin colour to a more lighter shade? Do you want to seem more appealing with a lighter look? Are you going for skin lightening methods to look fairer and shed your darker skin? 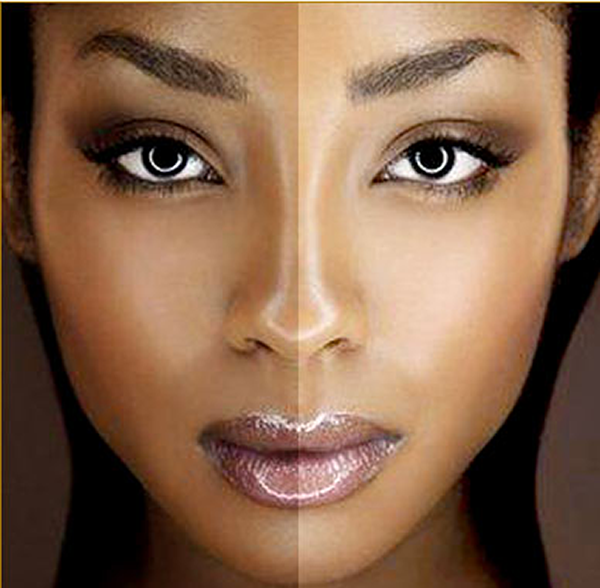 There is a crave for skin lightening to shed dark skins for a much fairer one to look more beautiful or appealing. That is why some people have opted for bleaching creams and skin lightening creams. Skin lightening is much more milder than bleaching because it tones your skin and brings out your ‘supposed’ original colour. Even some celebrities have been known to use it. Skin Lightening is the practice of using substances, mixtures, or physical treatments to lighten skin color. Skin whitening treatments work by reducing the content of melanin of the skin. Melanin is the pigment that gives human their hair, skin, and eye colour. There are chemicals mixed to create a lightening cream, some of which are dangerous to the skin and some are not. But it is important to note that skin lightening has its own risk that you should avoid as it has it’s own uses. These are 5 facts that you should note before using that skin lightening cream.